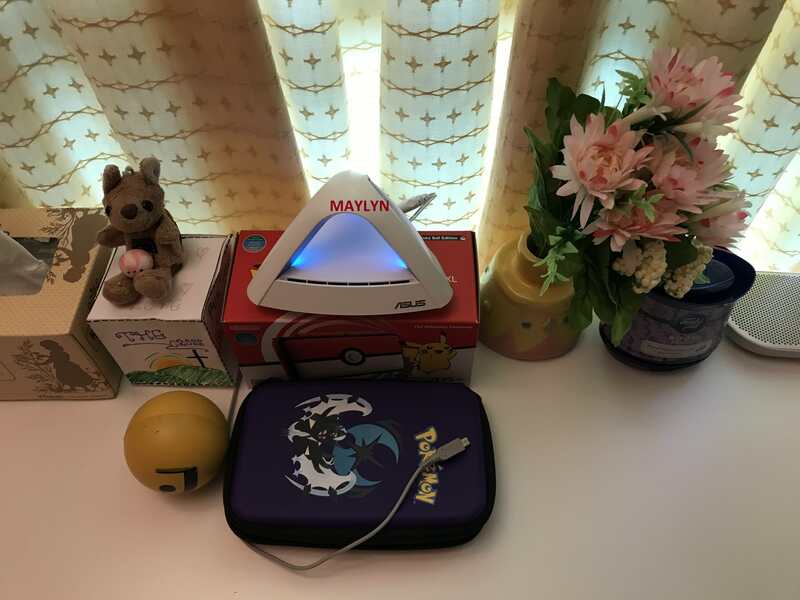 Thank you Xonix, Maylyn for your advise. This time, I get all Cyan. I believe the nodes are now connected via wifi backhaul. From the Lyra App, I can see the lines between main node and the other 2 nodes are yellow lines, instead of green lines..
Last edited by kwekey; 20-03-2018 at 01:54 PM.. The ASUS FAQ has specifically stated that one needs to set up 3 Lyra/Lyra Trio setup first on wireless (all solid blue light) before moving to Ethernet Backhaul setup. And the second and third Lyra/Lyra Trio must be in solid green light. Give it this setting up method a try and feedback in here accordingly. Recheck your LAN ports/cables to see is they are in good order too. 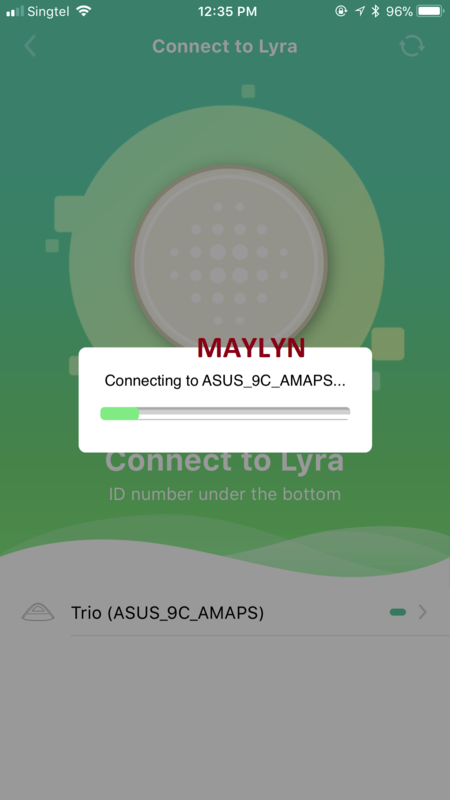 Your network map on the ASUS Lyra App should be a full 3 green lines connectivity on all nodes and shouldn't be 2 green lines/yellow/red etc. We have tested internally and bench using 9x ASUS Lyra all together on Ethernet Backhaul with all full 3 green lines connectivity with 59 WiFi devices connected to it. ASUS official recommendation is 5x Lyra/5x ASUS Trio per network setup. Last edited by maylyn; 20-03-2018 at 02:19 PM..
Wow, your result showing all green lines looks impressive..
First, I need to setup all the 3 Lyra Trio using wireless using Lyra App. Do we need to wait for Solid Blue or Solid Cyan? From my past few days experience, I could only see Blinking Blue. Do I need to use Lyra App to configure anything at this stage? 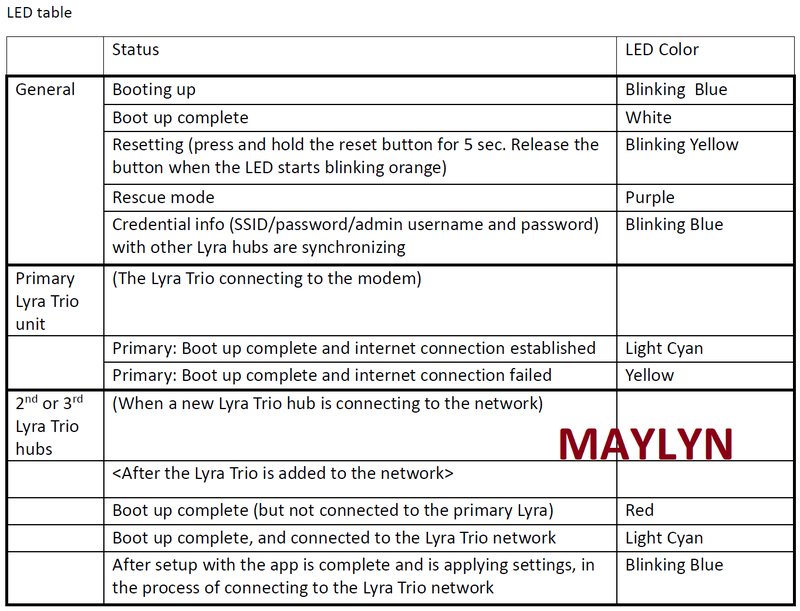 Is it possible to add the ASUS Lyra Trio to one's existing ASUS Lyra network? Yes, it's possible to add the ASUS Lyra Trio to one's existing ASUS Lyra network whether on wireless or Ethernet backhaul. But it doesn't work in other way around. ASUS Lyra Trio (main) ~> ASUS Lyra, or ASUS Lyra Trio (main) ~> ASUS Lyra Trio ~> ASUS Lyra etc. Light Cyan to be specific, there isn't solid blue. Just connect from the main node ~> second node ~> third node with the Ethernet cable. Make sure the second and third node LED is solid green colour. Last edited by maylyn; 20-03-2018 at 02:24 PM..
Roger that.. I will give it another tonight... Thank you! Below is what i have done step by step..
15	Try to reset power to node#3. But the internet connection when i go near node#2 and node#3 is unstable. I am giving up... Can I bring it down to Asus service center to check or setup for me? Connection near node#1 is good. Just a guess but isn't the Asus Lyra a standalone device and putting the router behind it will cause a double NAT ? My main router is located at the yard where the Fibre point terminates. I disable the wifi on the main router and basically use it as a router function. 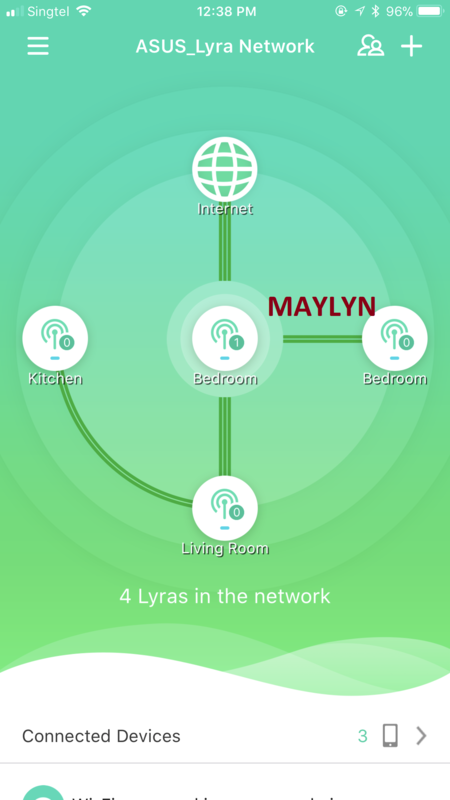 Since all my rooms are connected to the main router via cat-6 cable all around my house, and Lyra-Trio supports ethernet backhaul, I thought it should give me best possible wifi connection in every room. This also what the Sales person claimed to be during IT show. you need to change the first Lyra to AP mode else it will build another NAT.